Have you ever had an agility stress dream? Maybe you’re at [insert major big event here] and you missed your walk through? Or you’re walking the course at [major big event] and you just can’t get it figure out, and the clock is running down. Or your crating area is just really far away, in a maze, in a parking garage, attached to a mall, and you just can’t quite remember where your dog actually is. Or maybe you show up at the wrong place, and everyone there knows that the trial is actually over at the other place, and this is another trial, the one you didn’t enter. Ok, real talk. I haven’t had one of these dreams (nightmares?) in years. And suddenly I’m having them ALL THE TIME. So what gives? 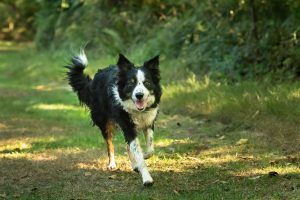 Couldn’t possibly be about the major transition I am currently undergoing, the one where I ease my perfect ten year old seasoned champion girl dog into retirement and start running my fast, wild, lovely young boy dog in earnest….could it? Of course it could. Change is hard. It’s hard for all of us. The last time I had these dreams constantly was during my last agility transition. When I was deciding I wanted more than a MACH title. 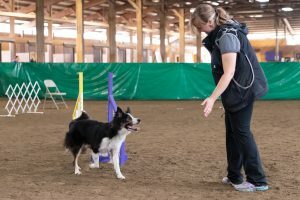 When I decided I wanted to be actually good at dog agility, and I realized I had the perfect partner to do that with. When I realized Idgie and I could be so much more than weekend warriors with shiny title certificates. I was really lucky then to have found a coach and dear friend who helped me to understand that wanting big things comes with big letdowns, and that that’s actually ok. She always told me to lean in to whatever it was I was feeling about the sport (or anything else), rather than run from it. Disappointed as hell that we had a bar in round two at NAC? Go cry it out behind the building. Get pissed. Feel it. Then get ready to give it hell in round 3 because, hey, Challengers is actually pretty radical. Right now, I am heeding her advice again. I am sad that Idgie’s incredible career is over. I am also grateful I get to retire her intentionally at this time rather than have her career cut short by other circumstances like I have seen so many of my friends experience. I get to be sad and grateful; I wrote about this once–it’s a practice called santosha and if you haven’t heard of it, check it out here. So what’s next? Felix is next. He is fast, powerful, and really intense. He is also full of big feelings that I work hard to take care of. My coach is also no longer my coach, as she has moved on to a new phase in her life. I’m lucky though, to still call her a friend. I will continue to lean in, and right now I am leaning into uncertainty, excitement, trepidation, and that voice that sometimes whispers that I may not be enough. I am leaning into these stress dreams and laughing at them when I wake up with Felix curled up on my chest.